I just found out this week that back in high school Jill thought I was “so cool” because I owned a copy of The Satanic Verses. This is how lucky I’ve been in my life: by fifteen, I had found at least one friend who recognized that coolness can be a function of one’s book collection. Never mind that my copy of Salman Rushdie’s controversial novel was in absolutely pristine, unread condition back then and still is; we recognized something in each other back then: a certain sacredness about books, even if life and – in this case – literary immaturity sometimes require us to keep them on the shelves for twenty years or so before we read them. Of course I wasn’t ready to read The Satanic Verses when I was fifteen – or when I was thirteen, which was how old I was when the Ayatollah issued his fatwa against Rushdie and I went out and bought the book. I don’t remember exactly what I was thinking when I bought the book, but I know that a certain aggressively liberal, politically outspoken history teacher was behind that particular emergency trip to the bookstore. Again, I’ve been a lucky person to have had great friends and great teachers who have shared my sense of urgency when it comes to great books. Very early – about 12:45 am, actually – on November 1, I woke up and couldn’t go back to sleep. I had a plane to catch in the morning and was worried, as I always am, that my alarm wouldn’t go off. I was also hungry – really, really hungry – for no particular reason. And – OK, I might as well say it – I thought I heard footsteps walking around the house, and I was creeped out. This never happens to me – I haven’t been scared of imaginary footsteps in a couple of decades. But I was sleeping in a twin-sized bed in my childhood home, and, well, sometimes these things happen. 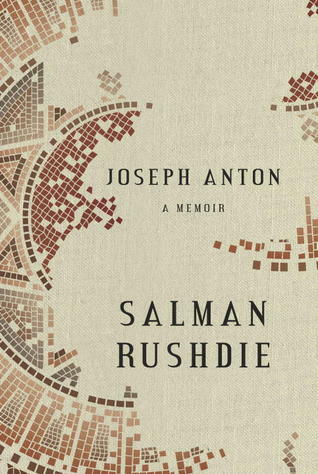 So I got up, turned on a whole bunch of lights, went downstairs, cooked a huge meal, and opened up Salman Rushdie’s recent memoir, Joseph Anton. And man, was I hooked. Rushdie’s novels are known for being difficult; I still have never made it all the way through Midnight’s Children (or even Haroun and the Sea of Stories, which is a children’s book, for God’s sake). But this memoir is absolutely readable and accessible – even with very little sleep, even with invisible zombies walking around the house, even on an airplane seat next to an overweight, coughing guy who doesn’t know how to keep his elbows to himself. Yes, it’s that good. The purpose of this memoir is to tell the story of how Rushdie’s life changed when the Ayatollah Khomeini of Iran issued a fatwa against his novel The Satanic Verses in 1989 on the basis of a series of misunderstandings about Rushdie’s intent to defame Islam. The book begins, however, with a good deal of background on Rushdie himself – his birth just six weeks before Indian independence in 1947, privileged but troubled childhood in Bombay, his education at Rugby and Cambridge, and his early years as an apprentice novelist and advertising copywriter in London before Midnight’s Children won the Booker Prize, securing his reputation and allowing him to work on his novels full-time. Also early in the memoir, Rushdie provides a bit of background on the history of Islam, and specifically on the historical incident surrounding the “satanic verses” of the Qur’an, an incident I was not familiar with before I read this book and which I found very compelling. This is my very pared-down retelling of the story: when Mohammad was receiving the divine revelation of the Qur’an, there was one occasion when he came down from the mountain and told the people who were transcribing his revelations (since Mohammad was most likely illiterate) that Allah (speaking through the angel Gabriel) had revealed that it was acceptable to worship the statues of three female angels that were posted at the gates of Mecca (which, at the time, was a polytheistic city). This revelation was surprising because up until this point all of Mohammad’s revelations emphasized the importance of worshipping only Allah. This announcement, of course, was pleasing to many of the people of Mecca who were intrigued by Mohammad’s teachings but reluctant to give up their old ways – including many people who were rich and powerful. Some time later, though, Mohammad descended the mountain after another session and told his followers that the angel Gabriel had told him that he himself (meaning Gabriel) had not actually given Mohammad and his followers permission to worship the statues of the angels; in fact, that revelation had been given by Satan, who had disguised himself as Gabriel. The verses that grant Muslims permission to worship the statues of the three female angels have since been referred to as the “satanic verses,” and it is from this incident that Rushdie takes the title of his novel. What Rushdie emphasizes about this story in his memoir is the host of possibilities it raises about the human motivations of Mohammad. He speculates that Mohammad’s original announcement that worshipping the statues was acceptable to Allah never came from any divine being at all – Gabriel or Satan – but from Mohammad himself as the result of some kind of a deal or bargain he might have struck with the wealthy and powerful men of Mecca. Rushdie speculates that Mohammad became aware that these men wanted to support him in the teaching of this new religion but were stopped short by the injunction that they could not worship any gods except Allah, so Mohammad (in this hypothetical situation) made a deal with them and agreed to insert some flexibility into the scriptures that were being dictated to them by Gabriel. Rushdie then hypothesizes that either Mohammad felt some ethical compunction about his actions later on or possibly was angry because the powerful men reneged on their end of the bargain somehow, so he invented the story of Satan masquerading as Gabriel in order to erase the permission to worship the statues from the public record. Rushdie makes clear that none of these speculations about Mohammad’s motivations can be proven by the historical record, but he also makes it clear that a) they can be supported by the historical record, which indicates that Mohammad did very much wish to curry favor with the rich and powerful men of Mecca, b) that they cannot be disproven by the historical records, and c) that many scholars before him have made this exact hypothesis and others like it. What fascinated Rushdie about this story is the way Islam – like all religions – emerged from human actions, human motivations, and possibly human imperfections. (By the way, another book that was receiving flak in the world news in 1988 and 1989 was Nikos Kazantzakis’ The Last Temptation of Christ, which also concerns the human desires and motivations of a religious figure, and which I also purchased in the seventh grade on the advice (very, very strongly worded advice) of the same outspoken history teacher. Did she have stock in B. Dalton or Waldenbooks? She very well might have. If so, though, her portfolio probably isn’t too happy these days. But I digress). If you’ve ever wanted to read Rushdie’s novels but found them intimidating, I would recommend reading his memoir simply for the fact that he does an excellent job of walking the reader through his thought processes behind several of his novels – The Satanic Verses first and foremost, but also Midnight’s Children, Haroun and the Sea of Stories, and The Moor’s Last Sigh. By the time I was a quarter of the way through the memoir, I was desperate to read The Satanic Verses, and while I still haven’t done so (the middle of a cross-country move really isn’t the best time to read dense, symbolic, important works of world literature – a face that I am rediscovering pretty much every day lately), I will do so soon and am looking forward to it. Rushdie does an outstanding job of humanizing himself as a writer, working through his moments of frustration, his moments of inspiration, and the long, diligent years of work that went into each novel. Of course there is much more that I could tell you about the events of Rushdie’s life that he narrates in this book, but I want to narrow my focus a bit to a few final points and then encourage you to find the time to read this engaging, important book for yourself. First, Rushdie spends a good deal of time making the case (correctly, I think) that his experience under the ayatollah’s fatwa can now clearly be seen as a harbinger of everything that has happened between the West and the world of militant Islam in the years since 2001. Rushdie uses imagery and language from the Hitchcock film The Birds to dramatize the way individuals and groups within Islam that were hostile to Western democracy and its freedoms inched their way closer and closer to their targets while most of Britain and the United States and other Western nations were looking the other way. Specifically, in 1989 the West was looking at the Soviet Union and the final months of Communism in that country and the fall of the Berlin Wall and the demonstration and murders in Tiananmen Square – all important world-historical events, to be sure, but in hindsight they served as distractions from what was happening in the Middle East, namely the regrouping that was happening in both Iran and Iraq at the end of those two countries’ eight-year war. Rushdie depicts the Ayatollah Khomeini on his deathbed, possibly senile, issuing the fatwa against The Satanic Verses not on the basis of his own reading of it but because his son indicated to him that an attack against a “safe” target (i.e. a novelist – not another nation that might be equipped with weapons) would be a good way to galvanize the Iranian people against a common enemy and redirect their attention from how painfully their country had failed them by waging such a destructive and ultimately fruitless war against Iraq. Second, while in some ways this memoir paints a very unpleasant picture of the Western media, many of whom essentially joined the ayatollah in blaming Rushdie for the fatwa against him, it also does a wonderful job of depicting the solidarity of the worldwide community of writers, many (though not all) of whom joined Rushdie in defending The Satanic Verses in particular and the right to free speech in general. Portions of this novel read like any writer or reader’s fantasy dinner party, in which such figures as Susan Sontag, Gabriel Garcia Marquez, Gunter Grass, Nadine Gordimer, William Styron, John Irving, Christopher Hitchens, Martin Amis, and Harold Pinter linger over dessert, growing more and more tipsy, alternately baring the teeth of their egos and showing themselves capable of great generosity and humanity. The Western world in the early 1990’s was a very easy place to be a novelist – once one got past those sticky obstacles of actually sitting down and writing novels, finding publishers, and that sort of thing, the world was inclined to treat writers well and honor their freedom to say and do more or less whatever they wanted. This memoir does a great job of documenting the way not only Salman Rushdie but the literary world as a whole came to understand that the much-touted Western concept of “cultural ambassadorship” can work both ways – that oppression and censorship and the threat of execution for one’s words and ideas can seep outward from totalitarian regimes and pervade democratic ones. This memoir is yet another document of just how small the world became in the last couple of decades of the twentieth century. So yes, I recommend this book – it is not only enjoyable but also important. Among its many other virtues, this book has given me my reading list for the next twenty years or so, as I kept jotting down the names of authors and titles that Rushdie references in its pages. 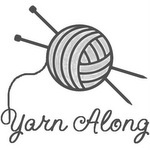 So I guess I have to go now – and get this review posted so I can sit down and read some more. This entry was posted in Authors, Non-fiction - History, Nonfiction - General, Nonfiction - Literary Studies, Nonfiction - Memoir/Biography, Nonfiction - Politics/Current Events, Nonfiction - Religion, Reviews by Bethany, Salman Rushdie. Bookmark the permalink. and by that I just mean that there is an easy way to fix not owning a copy of The Satanic Verses. I did not mean to imply anything about relative coolness. Of course. There’s no easy way to get to be as cool as you. And relative coolness in this case refers to the number of books that one owns. Wait – is coolness only a function of the number of books one owns? So there is no intrinsic difference in coolness between The Satanic Verses and, for example, The Friday Night Knitting Club? Because I don’t think I agree with that. Oh dear. I need to think about this more. Obviously you are correct that some books are less cool than others (I, for example, own Dracula, the Undead, the sequel to Dracula, written by Bram Stoker’s great-great-great grandnephew). Let’s just say that to me, all books you own are cooler than books I own. Except for my Anne Rice books. Those are way cooler than any of your books. Now, I don’t think we need to go that far. Do we need to have a Coolness List and a Coolness Challenge? At the very list, I think we can say that books that are banned by evil dictators are cooler than books that are not banned by evil dictators. Can we agree on that? Yes, I can definitely agree with that.